iOS App of the Week Looks like there’s trouble a-brewing in the cosy iOS ecosystem. 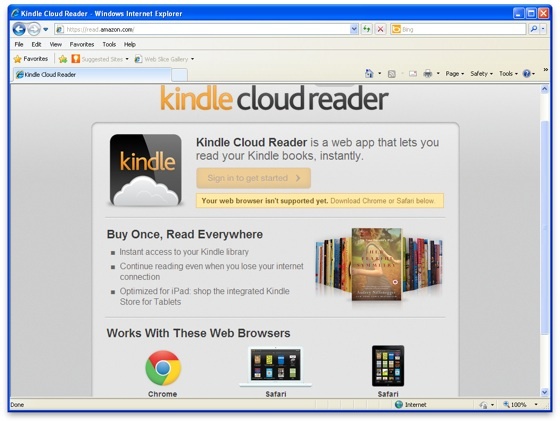 Amazon has just rewritten its Kindle app as an HTML 5 ‘web app’ in order to circumvent the restrictions of the App Store – not to mention the 30 per cent cut that Apple skims off the top of every sale. It's not the first to do so either. The Financial Times has already taken the same route, and other publishers and booksellers also seem to be looking into the HTML 5 alternative. From a user’s point of view, the HTML 5 version of the app doesn’t really look all that different. Yes, you start off by visiting a website, but the result is an app icon you can tap and run whenever you want to, just as you would with a native iOS app. 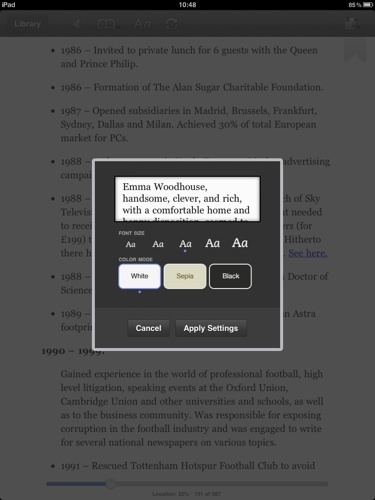 Go along to the Kindle Cloud Reader web site and then use the ‘Add To Home Screen’ option within Safari to add the Cloud Reader to your Home screen. Once that’s done the Cloud Reader works just like any other iPad app. In fact, the only real difference right now is that it currently only works on the iPad, although an iPhone and iPod version is in the works as well - and the iOS-native version of Kindle is still available for the iPhone. 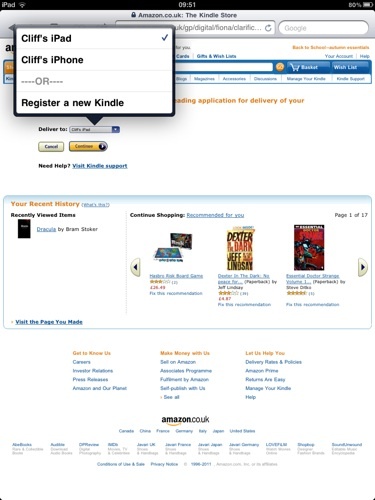 You need to be online to set the app up at first, and to buy books from the Kindle Store. However, you do have the ability to download your books onto the iPad for offline reading, so you don’t need to be permanently online in order to read your books. The app works perfectly well as an e-book reader, allowing you to adjust font settings and the paper colour, and to add bookmarks. It didn’t feel to me in any way inferior to the original iOS Kindle app. 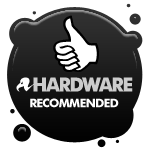 We make our selection of the best iOS smartphone and tablet downloads every Thursday. It you think there's an app we should be considering, please let us know. 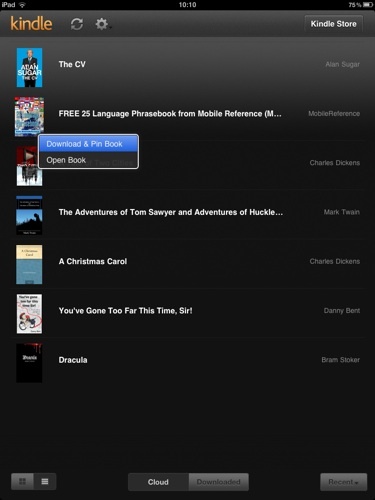 One of the first major apps to break free of the App Store – and a perfectly good e-book reader in its own right.